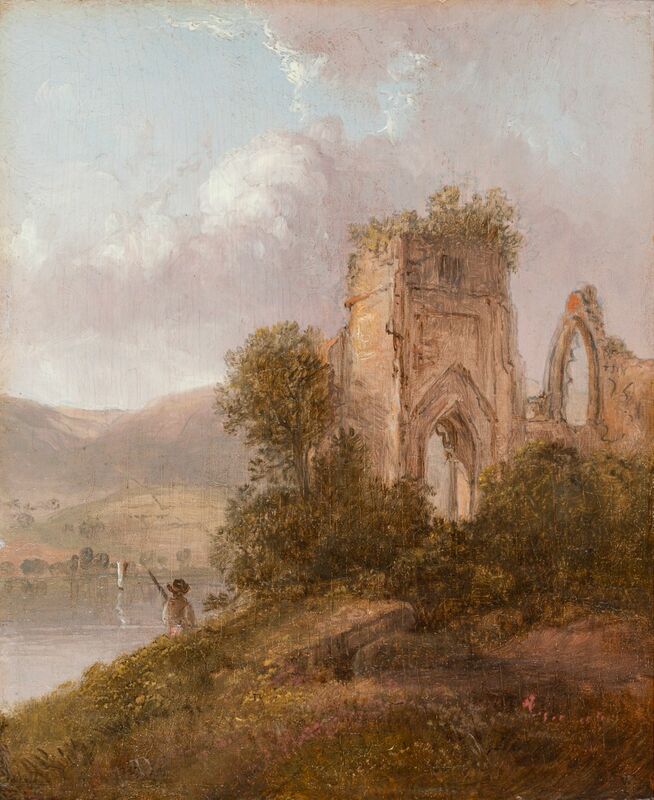 Shap Monastery depicts monastic ruins in Westmoreland, England, traditionally known as Heppe Monastery or Shap Abbey. The site, which is situated on the western bank of the River Lowther, was built at the turn of the 13th century by a Premonstratensian order of monks. Originally called Hepp, the name of the site shifted over time to reflect the neighboring village of Shap. 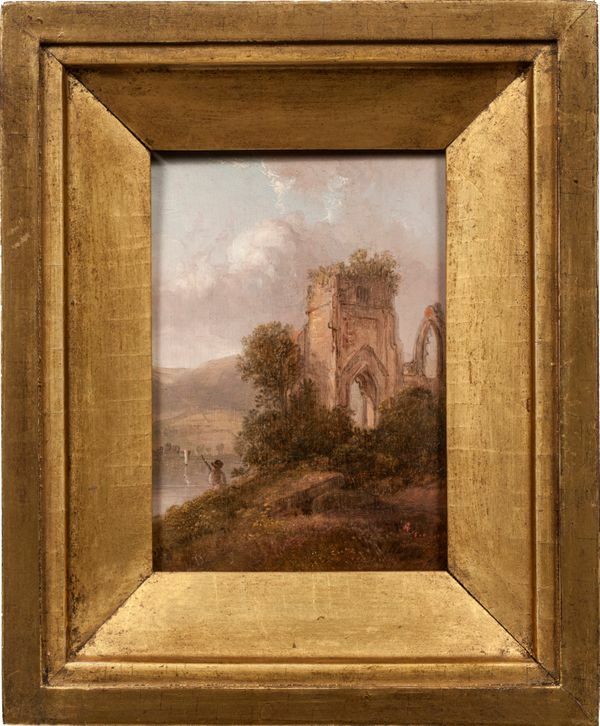 While the Abbey closed in 1540 and was subsequently demolished, the tower has remained standing for centuries and was no doubt an irresistible subject for a landscape painter such as Doughty.